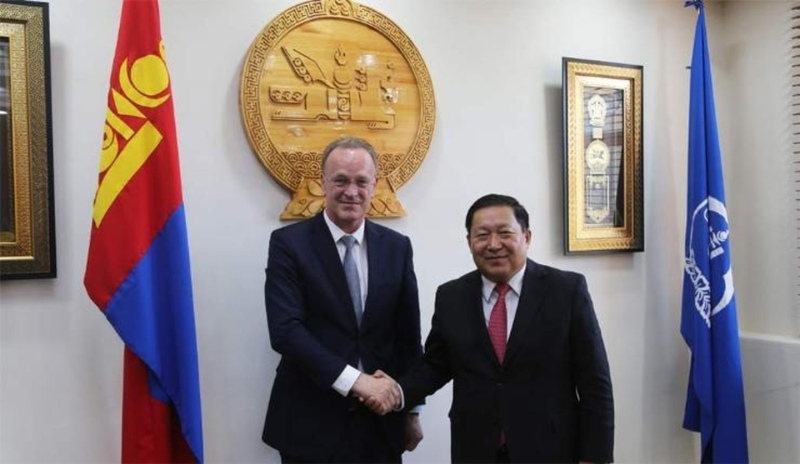 AKIPRESS.COM - Governor of the Bank of Mongolia Nadmid Bayartsaikhan met with Bert Hofman, World Bank's Country Director for China, Mongolia and Korea in the East Asia and Pacific Region based in Beijing. During the meeting, the parties discussed implementations of the IMF’s Extended Fund Facility arrangement and WB’s Economic Management Support Operation First Development Policy Financing being implemented in Mongolia. They also exchanged views on positive effects of these programs on Mongolia’s economy. Mr. Bayartsaikhan thanked Hofman for support in implementation of the programs.